Reflexology in Exeter and Exmouth. My name is Hazel Hunt. 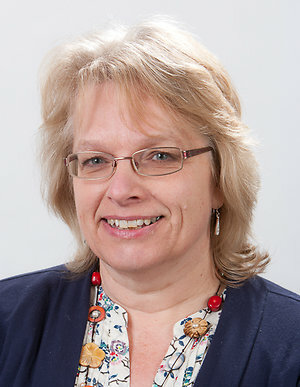 I am a fully qualified Reflexologist and a member of the Association of Reflexologists-Aor Click here working in Exeter, Tiverton, Exmouth, Topsham and the surrounding area of Devon. My intention is to assist you to feel well and whole. To be the best you can be, to help you to enjoy deep relaxation and by empowering you to feel in touch with your body, helping you to interprete the signs it gives you and encouraging your body to heal itself. A reflexologist treats the person as a whole, rather than medical conditions, reflexology does not claim to cure, but to support your body to heal itself by balancing the body. This may aid digestion, help you to sleep better, increase circulation, ease headaches and other pain. I qualified as a nurse here in Exeter in 1984. Working with people to enable them to live well has always been what I have wanted to do. The way we live today leaves us with very little time to be quiet and listen to our bodies and minds in order to reduce the stress of everyday living. Mental health problems are on the increase as are chronic health issues such as Chronic Fatigue, M.E. and Fibromyalgia. Some time ago I was in a job where I became very stressed and anxious becoming aware of the harmful effects that stress were having on my own body and mind. As a result I sought some therapy but I was very sceptical. However, the treatment had a profound effect on me. After the treatment I felt calm, rested and with a sense of wellbeing, that I had not felt for a long time. The experience made me consider what I was doing to my body, and I knew that I needed to change how I was living. I left the job I was in, did some searching about complementary therapies and made the decision to train in Exeter to become a reflexologist. I am now fully qualified, and a member of the Association Of Reflexologists. When choosing a therapist it is important to choose a qualified reflexologist who has undertaken all the necessary training to understand the theory and practice of reflexology. You can check whether a reflexologist is registered with the Association of Reflexologists (AOR) by searching the register at Aor Click here By choosing reflexologists who are registered with the AOR you can be confident that they are properly trained, qualified and insured. I understand the importance of working holistically by treating the person and not just the condition/symptom taking into account your physical and emotional needs. I have recently completed a course on Mindful Reflexology; supporting stress, anxiety and depression. I am seeing some amazing results with treatments and am excited by how effective and supportive reflexology can be when the pattern of stress and anxiety is interupted, giving a deep sense of wellbeing for clients. The simple touch of hands promotes empathy, a pat on the back, a hug, can tell you without words that you are not alone. These simple gestures involving physical contact have an implicit healing inflence. Human touch is beneficial, healthy and compassionate physical activity that society is losing as we become more isolated from each other, often using social media as contact instead. Healing Touch therapies are a way of touching which can bring balance for the body, mind and soul and can be used to complement other medical treatments. By restoring balance within the energy system of the body, it can create an optimal environment for healing. Reflexology is a complementary remedy, not an alternative remedy, so it can be easily used along side other medical treatments. Reflexology is a very nurturing, noninvasive therapy. I look forward to meeting you and giving you a treatment very soon either in Exeter or by mobile visits within Devon, including Exmouth and Topsham. Please browse the website and contact me for more information and to book treatments.